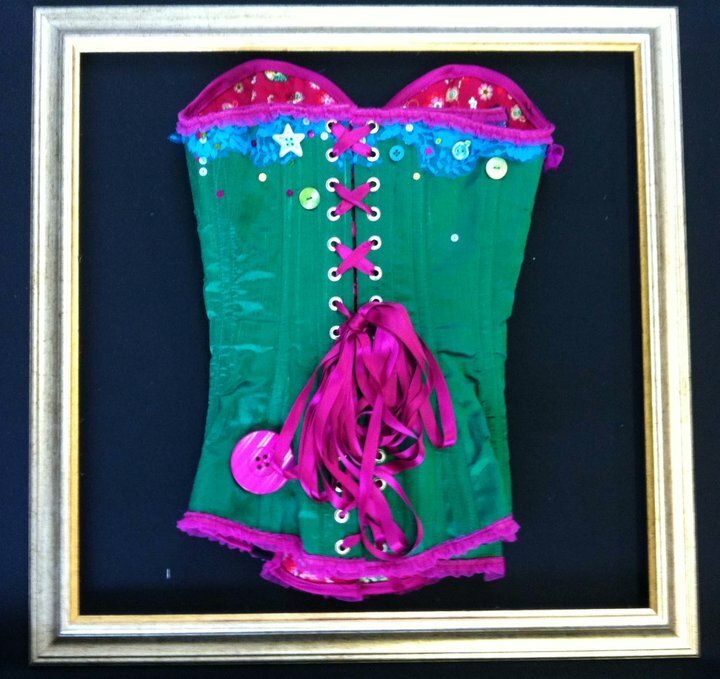 Im very excited to announce I will be showing at A Most Curious Wedding Party at the end of the month in Norwich. 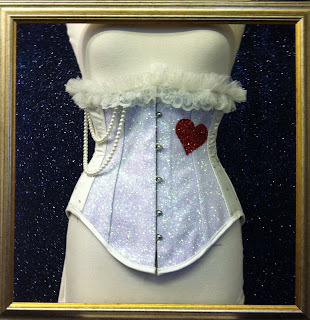 I’m not a big puffy wedding dress kind of girl so bridal is not something I have done in the past, having made a few wedding dresses for friends and realised how much I love to make peoples dream outfits in to reality so Ive decided to offer an alternative bridal service. I have been picked along with several other designers to represent A Most Curious Wedding Party at Norwich Fashion Week as part of Bridal NEXT to showcase two designs at Norwich Fashion Week. 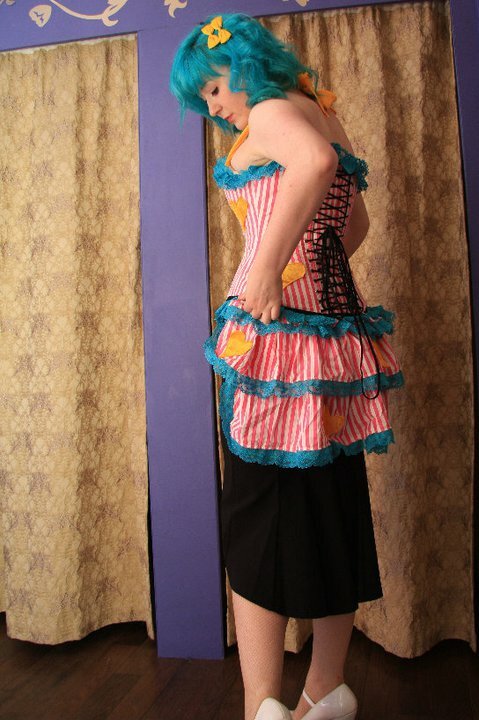 I’m teaming up with accessory designer Bohemian Love Story to create my two looks, its so nice to work along other designers and be creative with them plus Hannah is a doll! 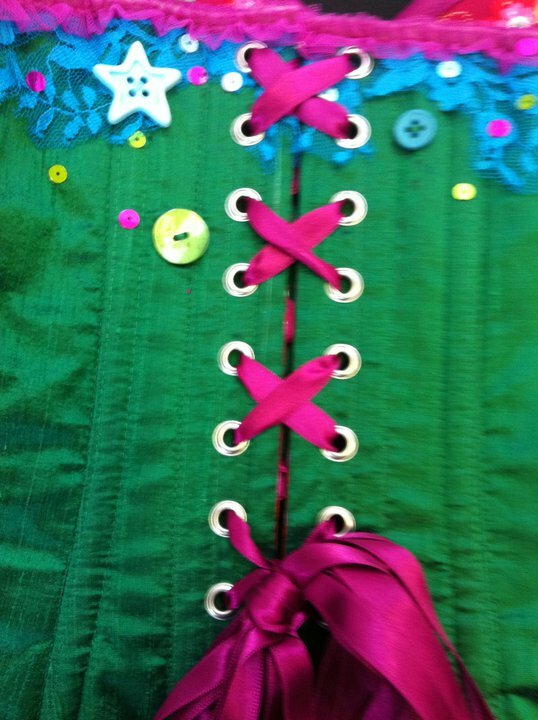 I was recently commissioned to make a costumer for burlesque performer Teniah Twisted based on the Absinthe Fairy. The costume consisted of a sage green strapless bra decorated leaves, sparkles and silver green flowers. The corset had a hidden zip front and was made from panels of different shades of green as well as green glitter and adorned with a delicate lighter green trim, appliqués and beading.The corset has gores which gives that amazing hourglass shape. 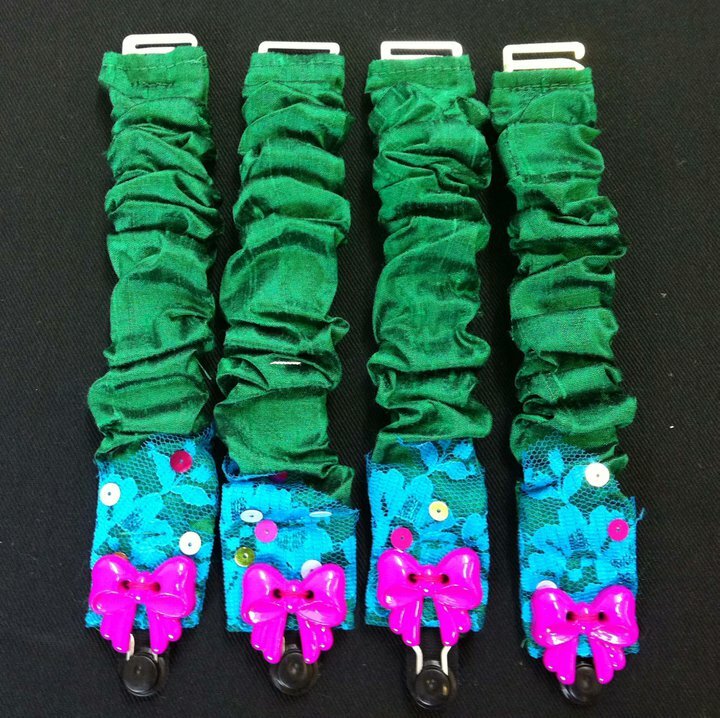 The suspender belt was made in matching fabrics with ruffled suspenders and green trim. Im so happy with the end result, I can’t wait to see pictures of Teniah in it! My very last piece of gold glitter was put to very good use today, I was commissioned by performer Georgina Honey to make an under bust corset with a bit of sparkle incorporating a Grecian theme. 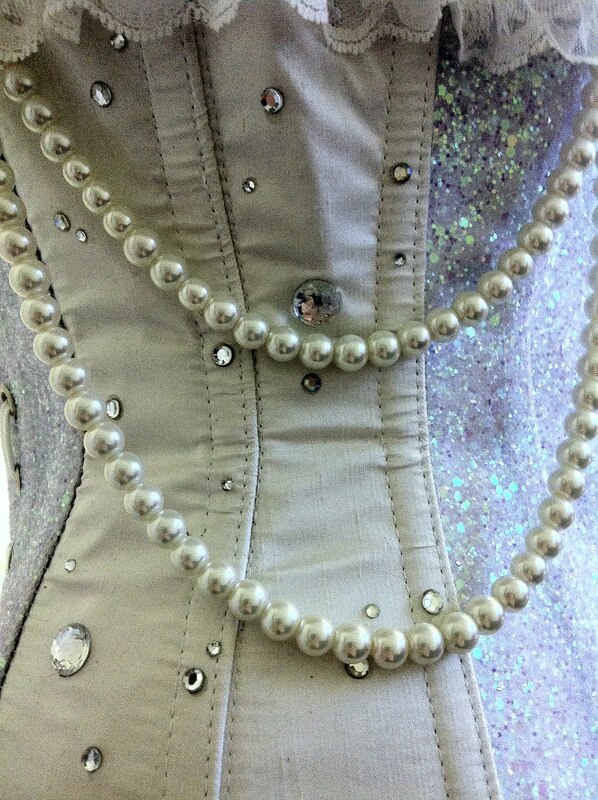 The corset is made from a gold glitter base with a lighter gold glitter ribbon wrapped around the corset to give a Grecian effect. 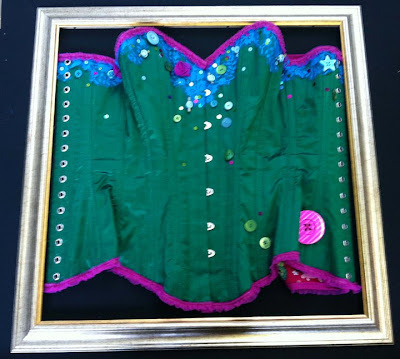 A custom piece I created for the lovely Julie. 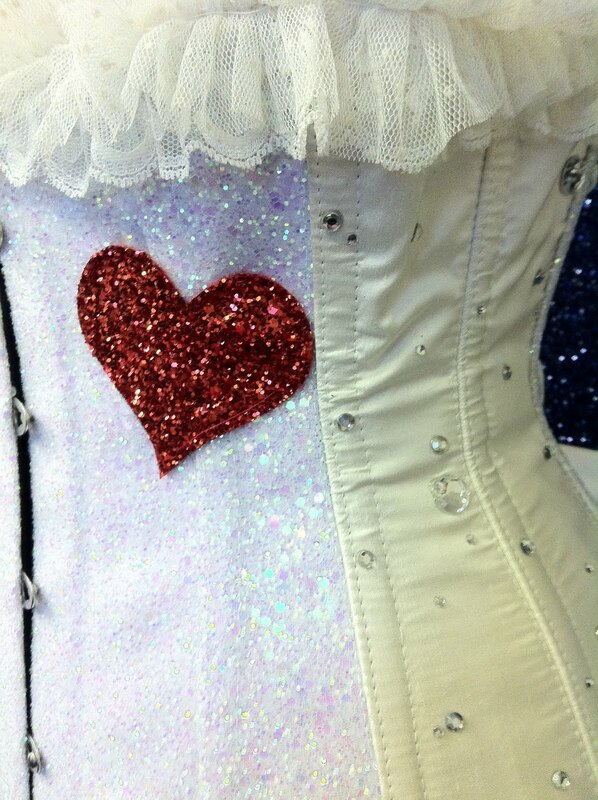 The corset is made from a combination if ivory silk dupion and iridescent glitter panels, decorated with a sprinkle of crystal jewels, pearl beads and ruby red glitter heart. 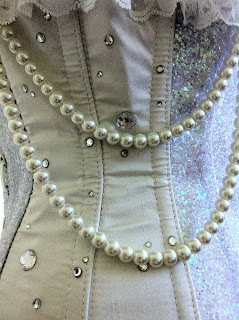 The top of the corset is trimmed with a base of a scalloped cream lace with a hand gathered ivory tulle top. I had so much fun making this set for Chris. The base of the corset, garters and frilly knickers are made from emerald green silk dupion, decorated with hand cut aqua lace with a sprinkle of sparkles and buttons, with a hot pink frill trim and ribbon lacing. This was such a fun custom piece I created for a client to wear to a Halloween convention. 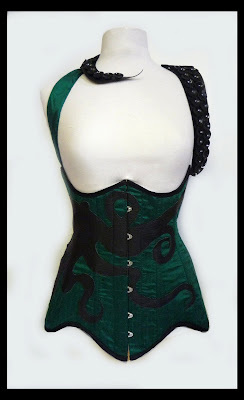 A curved under bust corset made from silk dupion with leather appliqued octopus silhouette with a tentacle complete with suckers wrapping around the neck. Some gorgeous pictures of a custom corset and bustle I created for the lovely Sheena of Coco Violet . 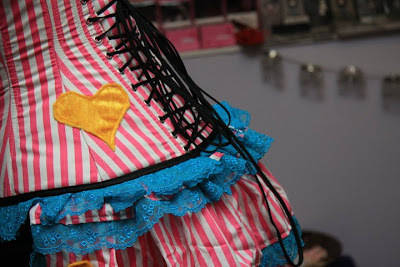 The corset and bustle are made from a hot pink candy cane stripe trimmed in aqua lace and decorated with a scatter of yellow hearts. I think Sheena deserves a big round of applause for getting her hair exactly the same colour as the lace!